This page gives instructions for setting up Autodesk 3ds Max. For Autodesk Maya, see Setting up Maya. The current version of the art pipeline in the cloud supports the previous 3 years of Max. Then download the 3ds Max HeroEngine Art Pipeline installer from your account page. Make sure to select the version that matches your copy of 3ds Max: 32-bit or 64-bit and the correct year. Make sure you have run 3ds Max at least once, to generate the settings files that the installer will modify. With 3ds Max closed, run the pipeline installer. The art pipeline should be installed into your Art Depot at C:\HeroEngine\ArtDepot\HeroEngineArtPipeline. The installer should handle all steps of the setup process. Once it completes, you're good to go! NOTE: If you run into any issues or errors, please verify the install was successful by following the manual setup steps and let us know what issues you encountered on the forums: HeroEngine Forums. On the "System" tab, select the "Additional Startup Scripts" line, then press the "Modify..." button. Navigate to the C:\HeroEngine\ArtDepot\HeroEngineArtPipeline\MaxScripts\Max20xx.0 folder and select startup.ms and press "Use Path". On the "3rd Party Plug-Ins" tab, press the "Add..." button. Change the "Label:" text field from "New Entry" to "HeroEngine Export". Note: Do Not check "Add Subpaths" in the "Choose Directory for New Entry" dialog. For 64 bit Max navigate to the C:\HeroEngine\ArtDepot\HeroEngineArtPipeline\Exporter\Max20xx.0 folder and select the "max20xx_amd64_Release.dlo" file. Press Use Path. For 32 bit Max navigate to the C:\HeroEngine\ArtDepot\HeroEngineArtPipeline\Exporter\Max20xx.0 folder and select the "max20xx_x86_Release.dlo" file. Press Use Path. 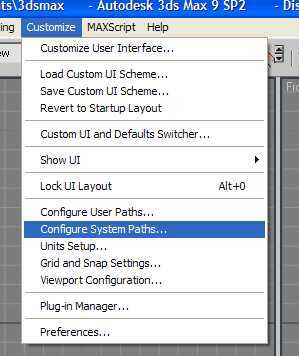 You can now press the "OK" button on the "Configure System Paths" window. If you used the art depot installer then your path will be C:\HeroEngine\ArtDepot\HeroEngineArtPipeline, but your team may be using a networked or different setup, so your path might differ. Network paths are acceptable here as well for one central location of the tools. To see if the System Paths are setup for the scripts and plug-in, click on the 3ds Max Utilities tab panel, then toggle on the MAXScript button. Below will be a Utilities drop down menu that should have new "Hero" menus such as the Hero Character Tools and Hero Export scripts. 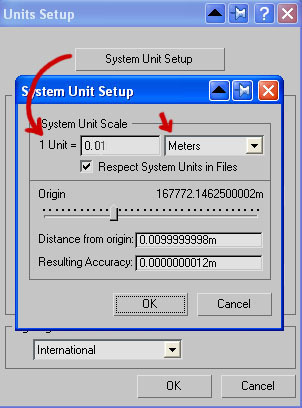 Open the Units Setup dialogue in 3ds Max via the Customize > Units Setup... menu and set the "Display Unit Scale" radio button to "Metric" and set "Meters" for the dropdown menu. Click on the "System Unit Setup" button at the top of the "Unit Setup" dialogue. This will open the "System Unit Setup" dialogue. 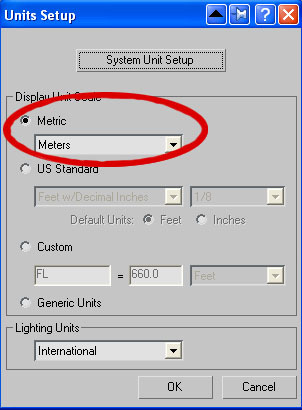 For "1 Unit =" enter 0.01 and change the dropdown menu to Meters. Press the "OK" button on the "System Unit Setup" dialog. Press the "OK" button on the "Unit Setup" dialog. Now Restart 3ds Max to apply the changes. Note: It is possible to build assets in other units scale, however our MAXScript tools are built for the suggested scale listed above.